Moussu Picchu is a location in the Hollow Heights region requiring a minimum rank of Grand Duke/Grand Duchess to enter. It also requires the purchase of the Moussu Picchu Climbing Route from the Labyrinth Cartographer or Zokor Cartographer. Hunters control the Wind and Rain intensities in the area to lure out various mice. During any stage, when arming Standard Cheese or Glowing Gruyere Cheese, Hunters will encounter Potion Brewers which are weak against Arcane, Shadow and Draconic weapons. 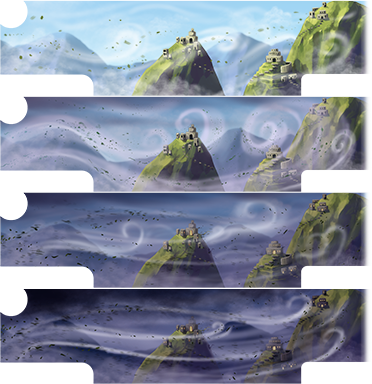 Potion Brewers drop Windy Potions used for brewing Windy Cheese and Rainy Potions for brewing Rainy Cheese. Fungal Feeders are only available when arming Standard Cheese and they drop Nightshade and Cavern Fungus. For each Wind and Rain, there are 4 different intensities. With a certain intensity at Max, using your Fire Bowl Fuel increases the drop rate of potions for that side which is at Max. When arming Standard Cheese or Glowing Gruyere Cheese without using any Fire Bowl Fuel while either Rain or Wind is at a non-zero intensity, both intensities will drop by 3%. There are two groups of mice that drop vines. Windy Cheese attracts Wind Wanderers who drop Arcanevines and are weakest against Arcane weapons. Rainy Cheese attracts Rain Roamers who drop Shadowvines and are weakest against Shadow weapons. For each Wind and Rain, there are 4 different intensities. Every mouse caught increases the corresponding side's intensity by 3%. Most failure to catch will drop the corresponding side's intensity by 2%. Only failure to catch Rainmancer or Wind Warrior will drop the corresponding intensity by 10%. Every hunt using a cheese not of the corresponding intensity drops it by 3%. Failure to attract drops both intensities by 3%. The Mice population varies at each intensity. The Higher the intensity, the greater amount of either Arcanevines or Shadowvines dropped. Hunters will craft Dragonvine Cheese using the vines collected. Dragonvine Cheese attracts Storm Dragons who drop Minerals and Dragon Scales and are weak against Draconic weapons. The Mice population when hunting with Dragonvine Cheese varies too and depends on whichever side's intensity is lower. Every Storm Dragon caught increases both intensities by 3%. Most failure to catch will drop the both sides' intensity by 2%. Only failure to catch Ful'Mina, The Mountain Queen will drop the both sides' intensities by 15%. Failure to attract drops both intensities by 3%. The Higher the intensity, the greater amount of Minerals and Dragon Scales dropped. The HUD shows the Hunter's Wind and Rain intensities in 2 separate meters. When Hunters first enter Moussu Picchu, the default intensity for both is 0%. Upon arming either Standard Cheese, Glowing Gruyere Cheese, Windy Cheese, Rainy Cheese or Dragonvine Cheese, the corresponding meters on the HUD will display an arrow indicating whether that side is increasing or decreasing. Using Fire Bowl Fuel will result in a "pause sign" for the side that you are currently not arming cheese for. On the top left and right corners of the HUD, the Power Type symbols of the recommended Power Type changes according the the cheese you arm. Clicking on it opens your Weapons selection window. Hunter's inventory of Windy Cheese and Windy Potions. Hunter's inventory of Rainy Cheese and Rainy Potions. Hunter's inventory of Arcanevines, Shadowvines and Dragonvine Cheese. Hunter's inventory of Fire Bowl Fuel. Hunter's inventory of Gouda, Brie, Swiss, SUPER|brie+, Glowing Gruyere Cheese and Dragon Scales. Hunters can arm, brew and craft the various cheeses by hovering over the corresponding HUD component. Potion Brewers can be found when hunting with Standard Cheeses and Glowing Gruyere. Fungal Feeders can be found when hunting with Standard Cheeses. Fungal Feeders drop Cavern Fungus and Nightshade, which can be used to create Glowing Gruyere. Potion Brewers drop Rainy Potions and Windy Potions needed to create Rainy Cheese and Windy Cheese. The intensity of the Wind and Rain will not affect the attraction of these mice, however each hunt with Standard Cheese or Glowing Gruyere will reduce the Rain and Wind intensity by 3%. Shadow, Arcane, and Draconic weapons are effective against these mice. Standard Cheese will attract most Fungal Feeders and Potion Brewers. SUPER|brie+ is required to attract the Nightshade Maiden. Glowing Gruyere is required to attract the Homeopathic Apothecary and is avoided by the Fungal Feeders. Rain Roamer mice can be found when hunting with Rainy Cheese. Rain Roamers drop Shadowvine , which can be used to create Dragonvine Cheese. The intensity of the Rain will affect the attraction of these mice. Each successful catch will increase the intensity of the Rain by 3%. A Failure to Attract or a Failure to Catch will reduce the Rain intensity by 3% unless the Hunter's Fire Bowl is lit. A Failure to Catch of the Rainmancer Mouse will reduce the Rain intensity by 10% unless the Hunter's Fire Bowl is lit. Hunting with any cheese other than Rainy Cheese or Dragonvine Cheese will reduce the Rain intensity by 3% unless the Hunter's Fire Bowl is lit. Shadow weapons are very effective against these mice. Arcane weapons are of normal effectiveness against these mice. Draconic weapons are less effective against these mice. Rainy Cheese will attract all Rain Roamer mice, but the Rain intensity determines which mice are available. Wind Wanderer mice can be found when hunting with Windy Cheese. Wind Wanderers drop Arcanevine , which can be used to create Dragonvine Cheese. The intensity of the Wind will affect the attraction of these mice. Each successful catch will increase the intensity of the Wind by 3%. A Failure to Attract or a Failure to Catch will reduce the Wind intensity by 3% unless the Hunter's Fire Bowl is lit. A Failure to Catch of the Wind Warrior Mouse will reduce the Wind intensity by 10% unless the Hunter's Fire Bowl is lit. Hunting with any cheese other than Windy Cheese or Dragonvine Cheese will reduce the Wind intensity by 3% unless the Hunter's Fire Bowl is lit. Arcane weapons are very effective against these mice. Shadow weapons are of normal effectiveness against these mice. Windy Cheese will attract all Wind Wanderer mice, but the Wind intensity determines which mice are available. Storm Dragon mice can be found when hunting with Dragonvine Cheese. The intensity of the Wind and Rain will affect the attraction of these mice. Each successful catch will increase the intensity of the Wind and Rain by 3%. A Failure to Attract or a Failure to Catch will reduce the Wind and Rain intensity by 3% unless the Hunter's Fire Bowl is lit. A Failure to Catch of Ful'Mina, The Mountain Queen will reduce the Wind and Rain intensity by 15% unless the Hunter's Fire Bowl is lit. Hunting with any cheese other than Rainy Cheese, Windy Cheese or Dragonvine Cheese will reduce the Wind and Rain intensity by 3% unless the Hunter's Fire Bowl is lit. Storm Dragons are weak only to Draconic weapons. Dragonvine Cheese will attract all Storm Dragon mice, but the Wind and Rain intensity determines which mice are available. The table below shows the mice availability when both weather effects are in the same range. When the Rain and Wind intensities are not in the same range, the lowest weather effect will determine which mice are available. 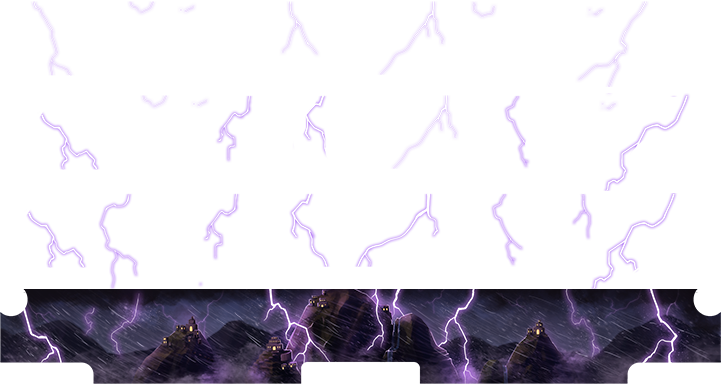 Example: Thunder Strike and Violet Stormchild will be present when either Rain or Wind intensity is Low, regardless of the other weather effect's intensity. Ful'Mina, The Mountain Queen drops a very wide range of loot. *Phew! * I never thought I would make the climb! Glad to see you up here, hunter! Welcome to Moussu Picchu! I knew it would be just a matter of time before we found this land of legend ever since we first stumbled through the Labyrinth! 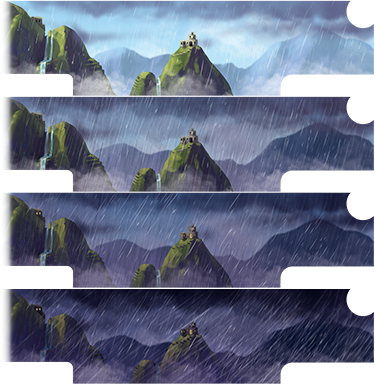 Up here the weather is quite unpredictable and seems to be kept in check by the local Moussu Picchu Inhabitants. The Wind Wanderer mice are linked with the Arcane energies of the wind. You will need to use an Arcane trap to best capture this group! As for the Rain Roamer mice, the energy that comes from dark rain clouds is linked to Shadow traps, which will be needed to catch them. Arming basic cheese (or even better: Glowing Gruyere) will attract the Fungal Feeder and Potion Brewer mice. These mice can drop crafting items and special potions that will create storm-based cheese to help attract the Wind and Rain mice! The Fungal Feeder mice will drop crafting items for Glowing Gruyere. Catching mice from their respected groups will alter the weather up here on the plateau. Wind mice will make it windier and the Rain mice will make it rainier. As the weather gets worse, stronger mice from each group will appear while the weaker ones will go and seek shelter. These stronger mice can drop powerful vines collected from the flora that grow when the weather intensifies. These vines will be required to craft Dragonvine Cheese, a powerful bait that will beckon forth the powerful Storm Dragon mice. If the wind and rain get too strong, both forces together will create a powerful storm. During this period, the most powerful Storm Dragon mice will appear! Hope you brought your Draconic traps and charms! Hope you brought your rain coat and boots! Not sure if it will help here, though... Good luck, hunter! Hunters can Capture Ful'Mina, the Mountain Queen while hunting in Moussu Picchu. These are the shops that can be found in Moussu Picchu. 6 September 2017: Moussu Picchu was released as the fourth location in Hollow Heights. The "panoramic view of a neighbouring lake" mentioned in the Moussu Picchu Climbing Route is an inside joke between several developers. It is not meant to foreshadow an upcoming new location. This page was last edited on 3 April 2019, at 17:32.